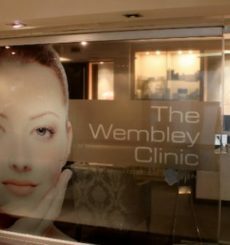 The Wembley MediSpa situated in Gardens, Cape Town is an Award Winning exclusive upmarket and contemporary day cosmetic centre, operated entirely by world-class aesthetic surgeons and professional qualified aestheticians. Voted as the best MediSpa in South Africa via Les Nouvelle awards for 2013, we uphold a strong reputation for quality service and excellent customer satisfaction. The Wembley MediSpa has also been voted No. 1 Spa in Cape Town by Oflocal for 2 years running, rated by Grazia Magazine as the best “anti-wrinkle injectable/s” Clinic in Cape Town for the last five years and we are proud to announce this year we have been awarded the World Luxury Spa Award Winner 2016. Medical treatments at The Wembley MediSpa are performed by our doctor trained within the aesthetic field.